Norway’s varied folk music heritage has inspired musicians from different backgrounds. 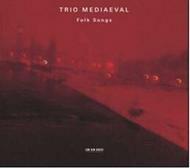 Since their start in 1997 the Norwegian-Swedish vocal trio, Trio Mediaeval, has successfully included Norwegian folksongs in their concerts which usually consist of mediaeval and contemporary polyphony. The pieces recorded in the generous acoustics of the Austrian monastery, St Gerold, stem from regions such as Vestfold or Telemark and many of these humorous ballads, hymns, psalms, love songs and lullabies are popular tunes which have been sung by the great folksingers of the country. The Trio’s new record pays tribute to the (now disbanded) all-female Norwegian folk trio Tiriltunga but most of the arrangements were made by Linn Andrea Fugleseth and Tone Krohn, a folksinger from Linn’s hometown Sanderfjord in Vestfold. The trio’s decision to include some percussion not only widens the sonic spectrum of the group but also adds a powerful rhythmic element. For the trio, this project offers the opportunity to sing an entire programme without scores in complete freedom and spontaneity – resulting in singing of warmth, charm and youthful vitality. Founded in Oslo in 1997, the Norwegian-Swedish trio, two sopranos and a mezzo, were taken up the following year as protégés of the Hilliard Ensemble. Hilliard tenor John Potter was especially excited by their potential and brought the group to ECM, acting as producer or co-producer on all their discs. Norwegian drummer and percussionist Birger Mistereggen trained as a classical and jazz musician and is one of Norway’s foremost specialists in ‘folk’ percussion.